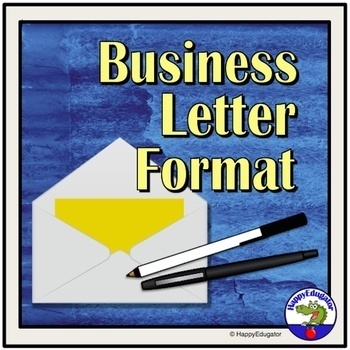 Business Letter Writing. 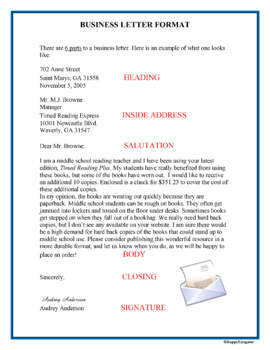 How to Write a Business Letter Handout. This technical writing handout is a handy guide on how to write a business letter. 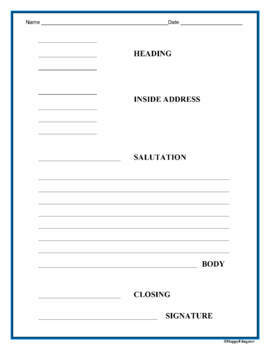 Shows how a business letter is formatted, and the six main parts of a business letter: heading, inside address, salutation, body, closing, signature. 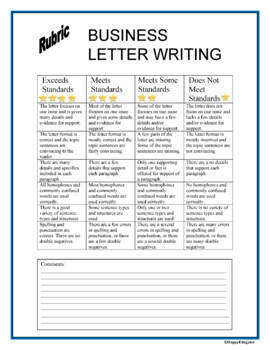 Includes a blank template, a handout on writing strategies, a persuasive map, and rubric.